4 Should you trust MacKeeper? Those Mac OS users, who have been searching for a way to speed up system processes, might have come across MacKeeper application which seemingly offers everything they might need: system optimization, security, data protection, expert assistance, and removal of unnecessary files. 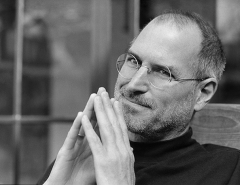 The developers also claim that the tool is the number one system utility for Mac in the world. However, when you scroll down for more information, you find out that such statement is made for advertising purposes and has no research evidence. If you are curious to find out other users’ insights and commentaries, you will discover that there are quite contradictory opinions about the tool which is supposedly downloaded 38,847,544 times. If you can’t decide whom to trust, let me shed light on this utility. The application is quite new. It was first released in 2009 by Zeobit company. After a couple of years, the rights of ownership were transferred to Kromtech. Since then, the application has received three major updates. Speaking of the pricing, the utility does not seem to be expensive; you can pay $14.95 a month, or save it and purchase the all-in-one cleaner for $118.80 for two months. Indeed, such price might not seem too high for multiple seemingly useful features: duplicates finder, fast cleanup of junk files, shredder, data encryption, etc. The application also possesses appealing design and easy manual. Nonetheless, after installing this application, some users reported an opposite phenomenon – the application did not improve the efficiency of their macOs, but quite contrary, caused system crashes and overall degradation of system processes. Thus, such behavior led users to consider MacKeeper to be a virus. Is it really so? While you are visiting our web site or using our software, we may collect and use different types of information about you. This information is used only for fast and efficient rendering of our products and services to our customers. In addition, the company mentions that such data may be shared with service providers and business partners. “Different types of information” does not suggest ambiguous thoughts, in fact, it states quite openly that they gather personal information as well. What is more, on 2015 IT security Chris Vickery has discovery more than 13 million users’ data which amounted to 21 GB, freely accessible in one of the databases. The database was not properly encrypted and thus was open to anyone with higher than basic programming skills. What is more, on 2015 IT security Chris Vickery has discovery more than 13 million users’ data which amounted to 21 GB, freely accessible in one of the databases. The database was not properly encrypted and thus was open to anyone with higher than basic programming skills. While there are countless similar PC optimizers which raise doubts about their efficiency, in some cases, installing such application may even create more chances for outside virtual threats to infiltrate the system. If you really need a PC optimizer, there is the number of trusted application. However, when it comes to system performance, the key issue lies in the hardware or lack of system space. Instead, you can look up tricks to slightly boost the computer’s performance. In most cases, installing a PC optimizer does not have a major effect on the system. ^ 3 easy steps to optimize your Mac!. MacKeeper. Official website. ^ MacKeeper. Wikipedia. The free encyclopedia. ^ Peter Cohen. What 'MacKeeper' is and why you should avoid it. iMore. Learn more. Be more. ^ Alice Woods. MacKeeper is NOT a reliable application according to users. Are they right?. 2-spyware. Security and spyware news. ^ Brian Krebs. 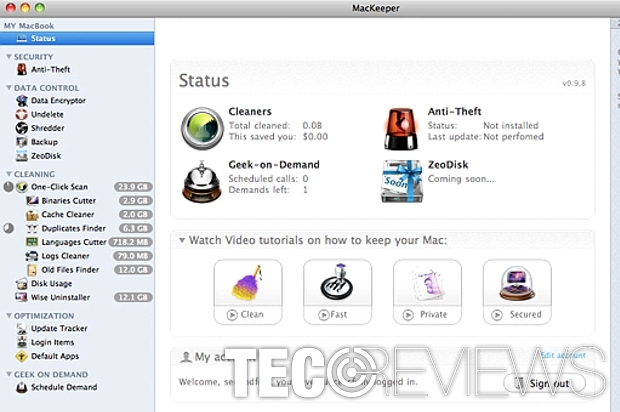 13 Million MacKeeper Users Exposed. KrebsOnSecurity. in-depth security news and investigation.